Johann Bernoulli, brother of Jacob Bernoulli, was a Swiss mathematician born on 27th July 1667 in Basel. He was another member of the Bernoulli family whose inclination towards mathematics, despite his parents objection, was apparently very strong. After rejecting the family spice business, Johann entered the University of Basel in 1683. He was studying medicine after the strong persuasion of his father but took mathematics lessons from his brother, who at the time was lecturing at the University. It took Johann less than two years to become an equal to his brother’s mathematical intellect. In 1690, after his first publication on the process of ‘fermentation’, Johann decided to travel on a quest for more mathematical knowledge. He travelled to Paris where he taught the new calculus by Leibniz to Guillaume de l’Hôpital who paid him generously for the lessons. The 1690’s was a thriving time for Johann as many of his papers were being published including his dissertation on the application of mathematics in medicine and many other mathematical papers which he had written in correspondence with Leibniz. In 1691, Johann solved the ‘Catenary’ problem which had been posed by his brother. Although Johann was learning a lot from Jacob the alliance between them soon turned into severe hostility, with both trying to prove to be a better mathematician. In 1694, Johann became successful in integrating differential equations. This along with many other achievements brought Johann the offer of two chairs of mathematics, one at Halle and the other at Groningen. In 1696, Johann also proposed the ‘Brachistochrone’ problem which was ‘what shape a wire must be for a bead to travel from one end to the other in the shortest possible time’. This was solved by him, Newton, Leibniz, L’Hopital and Jacob Bernoulli. He also came up with a machine which was basically a fluid energy motion machine. 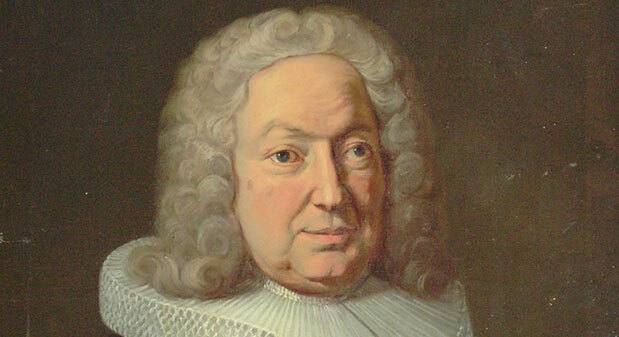 In 1705, after the death of his older brother, Johann took over his post as a professor at the University of Basel. His reputed position in the mathematical world could not be denied after that. He also advanced in the field of mechanics and some scholars go as far as believing that it was Johann Bernoulli who was the pioneer of the principle of conservation. Johann married Dorothea Falkner and in September 1695, when their first child, Nicholas (II) Bernoulli was only seven months old, Johann decided to move to Holland; a decision which was resented by both his wife and father in law due to the difficulty they would have to face in the journey. They lived there for a decade which proved to a rather testing time for Johann. He faced many allegations one of which was by a student at the University of Groningen who had accused him of not letting them practice their religious faith freely and copying Descartes ideas; both accusations were denied by Johann. The Newton-Leibniz controversy and the jealousy towards his own son’s mathematical talent were also a sign of Johann’s envious nature. His work ‘Hydraulica’ was an attempt to undermine his son Daniel Bernoulli who had planned to publish his work ‘Hydrodynamica’. ‘The Archimedes of his age’ Johann Bernoulli died at the age of 80 on 1st January 1748.